Extreme WEALTH SELF LEVERAGES THROUGH PURCHASED INFLUENCE. HOW TO FIX IT: Referendum Initiative Citizen, RIC. The Roman Republic did it! And died from stopping to do it! Athens didn’t need to do it (its wealthiest citizens were not as wealthy as those of Rome; instead wealthy Macedonians killed Athenian democracy). The Republic of Florence didn’t do it, and died from not doing it! The ancient argument against great wealth, familiar to all organized savages, for most of the Neolithic, is that wealth exponentiates: the more of it there is, the easier it is to get more. Even the savage Plains Indians taxed extreme wealth nearly 100%, redistributing thoroughly the thousands of horses a great chief could own. Another, newer, argument, developed here, is that in modern, massive civilization, wealth controls opinion, hence minds. Wealth can easily purchase the leaders of a Representative Oligarchy system, also known, by a common abuse of language, as “Representative Democracy”. The Roman Republic is our great predecessor. The Roman Republic made the principle of respecting secular law foremost, as Qin did in China roughly at the same time. This highest principle was a huge success. Making secular law foremost is such a powerful principle that it makes powerful states: Qin (prolonged by their immediate successors and implementers, the Han) and the Roman Republic built giant empires which can be viewed as lasting to this day (France, thus Western Europe, and the Anglo-Saxon colonies are direct successor regimes of Rome: they use Roman law… refurbished by Constantinople and the Franks, foedi of Rome, and sole inheritors of Roman Imperium. The Roman Republic collapse was long drawn out: republican elements were taken out, one after the other, for 550 years (let’s say for clarity from 150 BCE until 400 CE, when the Franks were given Roman military imperium over the Germanias and Gallia… by a strange government of Catholic bishops, who, practically then, governed the Roman empire). The Roman Republic was an enormous success, as a territorial empire: most of the conquests were made under the Republic. If so successful, why did the Republic collapse (dragging the Roman state with it)? The Roman Republic lasted 5 centuries, in full. Then it ran into trouble, as civil wars happened all over. Caesar’s grand nephew, Octavian, aka “Caesar” (he took the name of his uncle and adoptive father, as per tradition), captured the Republic. When Octavianus/Caesar/Augustus took control, peace got established, by force, and that enforced peace made this Augustus popular enough to stay in power. “Caesar” made himself “Princeps” (first, principal)… First man in the Senate, somehow, controlling everything, but without the title of king. When he died, nobody knew what to do, and the generalissimo, Tiberius, stayed in seclusion, until the Senate, duly selected by Octavian/Augustus, a set of plutocrats, begged Tiberius to come out, and take some of Augustus’ responsibilities. 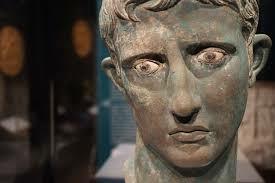 Augustus, an extremely gifted teenager who led a revolution, got unhinged early on. Plutocracy would drive anybody crazy, that’s its main purpose, in the grand scheme of evolution! In the next four centuries after Augustus found himself “Princeps”, power would balance between billionaires, the plutocrats and the army, until the latter increasingly defanged the Senate (where billionaires ruled), and the plutocrats embraced Christianism, thanks to Constantine’s crazed family, etc. How did the Roman Republic collapse then? From the switch to a professional army which reverted to old methods of pillage and the like (as Alexander’s men used to). That switch itself was caused by the impoverishment of Rome’s citizen-soldiers, obvious by 150 BCE (and which the Gracchi deplored in eloquent terms, claiming Roman citizen-soldiers had it “worse than wild beasts”, although they were called the “masters of the world”). That destitution of citizen-soldiers, in turn was caused directly by the rise of the hyper wealthy. The latifundia (giant agri businesses manned by slaves, owned by hyper wealthy Senatorial class) undercut the work product of Roman traditional peasants…. That happened because globalization made it possible immense fortunes which, coming back to Italy bought out indebted citizen-peasants whose work products were undercut by slave work (on the giant latifundia). The Gracchi brothers tried to impose the wealth limit laws (existing, but not enforced). They were too late. A generation or two too late (but then of course the Roman army was busy destroying Carthage allies, including Macedonia). They were in turn undercut by the rise of global plutocracy eschewing local taxes and laws. As the hyper wealthy by then could afford private armies of goons, the Gracchi and more than 5,000 of their supporters were assassinated. So the citizen-soldiers army disappeared… All the more as the invasion of the Teutoni, Cimbri and their allies, saw the near annihilation of the entire Roman army, before the peasantish Marius, helped by the Senatorial Sylla reestablished the situation spectacularly by annihilating the invading German armies. In any case, out of that mess came professional Roman armies, and they had to be paid… by their commanders in chief, the imperators. When imperators, such as Pompey the Great and Caesar, collided, civil war resulted. The whole process of decay of the Roman Republic arose from the economic, and then social destitution of Roman citizen peasant soldiers… the same citizen peasant soldiers who had made Greek city-states so powerful and progressive (with the exception of Sparta, where citizens were just soldiers enslaving the Helots who were the peasants (and occasional soldiers, when Sparta needed massive armies). 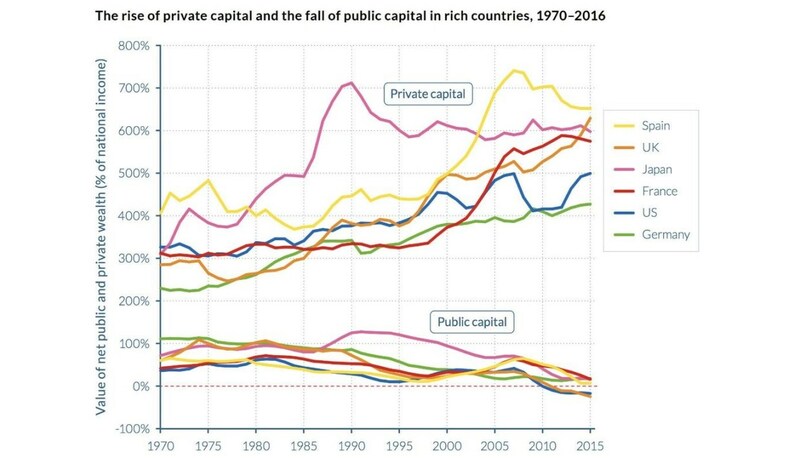 Same process of wealth concentration in the oligarchy, while the public perishes, as under the decaying Roman Republic: public property collapses, while private holdings (the 1%!) blooms. Jean-Louis Debré is the son Michel Debré, long a Prime Minister, and brother of Bernard Debré, MD and MP. Also the great grand-son of a Great Rabbin of France. Same family as the famous Fields Medal mathematician , Laurent Schwartz. In other words, a family as connected as one gets, to the point of having a Wikipedia entry with around 50 names! In any case, the ci-devant Debré was on all French TV networks, day after day, to explain, with the bluntest bad faith, that Direct Democracy was the rule of the mob (he used the Greek word invented by the Greek hostage Polybius when he wanted to ingratiate himself with Roman plutocracy, circa 140 BCE… Small world, no? Debré hit just at the same period when civilization took a bad turn, and, as an oligarch, 22 centuries later, stand with the bad guys… Never mind that led straight to Nazism and he is a descendant of Jews…). …Obamaism leads us to believe that we do not need to choose, and that we can actually have it all – as long as we always make sure to line up behind policies that appease the super-wealthy. In the Representative Oligarchy we have now, the wealthiest can steer the few thousands politicians, CEOs, media pundits, influence peddlers, pseudo-intellectuals, university professors, etc. who drive the world. Their total worth in 2018 is actually 10 trillion. Let’s divide by the number of individuals, like Debré, Biden, who they need to impose plutocracy aka “Representative Democracy” as the world’s best institution: 10,000 billions/10,000 = 10^13/10^4 = 10^8 = one billion. OK, let’s be more realistic, suppose the 2,200 billionaires spent just 1% of their worth influencing the oligarchic influencers. That gives us a very sustainable, but gigantic 10 million dollars each! In other words, the world’s 2,200 billionaires can flood those 10,000 drivers of the world’s public opinion, with ten million dollars each, while spending a tiny portion of their wealth… And a spending that doesn’t function as a tax, which would go to the state, whereas here it goes to the hearts and minds of the oligarchy itself. The 1% spent influencing the influencers functions as a force multiplier! They recover much more, as when Steve Jobs persuaded Irish politicians to tax Apple just 1% on worldwide revenue, and then probably even more to persuade EU politicians to do nothing effective about this violation of EU law (minimum tax required: 12.5%). So let’s recapitulate. Spending 1% of their wealth each year actually acts as a force multiplier: billionaires make more by spending 1% of their wealth a year, than by not spending it. As observed. A billionaire goes see a president in his presidential palace (happened countless times in the White House and the Palais de l’Elysée), The billionaire makes the president a very remunerative job waits for him when coming out (OK, doesn’t work with billionaire Trump, so Trump is very bad)… if the president consents NOT to tax the company of the billionaire, or his “foundation”, or if the president consents to let his company violate antitrust laws, or environmental laws, or even national security laws (as when French or US drugs have to be all purchased in China; or when “markets” are obtained from technology transfers to… fascist dictatorships, as happened plenty from the USA to Nazi Germany and the USSR). How To Stop This? TAX WEALTH ABSOLUTELY! REFERENDUM INITIATIVE CITIZEN! 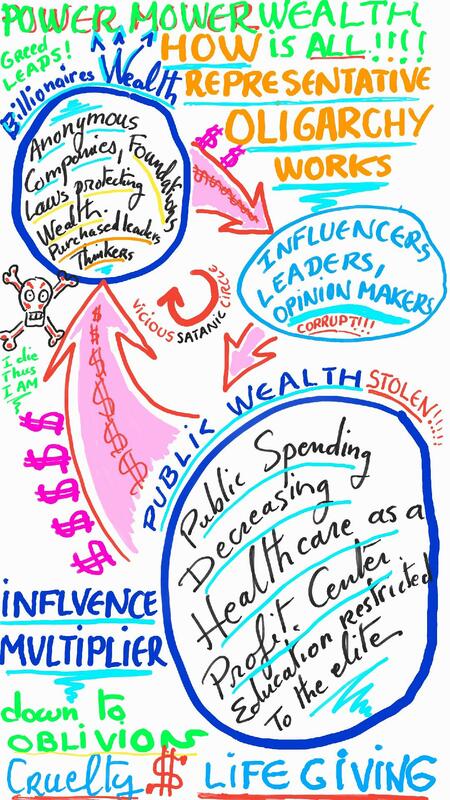 Indeed suppose wealth was limited at, say 100 millions: then the total wealth of the wealthiest 2,200 would be only 200 billions, and the amount to spend on influencers and “leaders”, only 200,000 a year… Tempting, however, not irresistible. The RIC: Referendum Initiative Citizenry is another way around, as the wealthiest can’t buy every single one of us. So let’s re-establish real, direct, Democracy, after a savage 23 centuries interruption, and do both! In 1911, a referendum in California decided that women should vote: RICs are progressive, because they are anti-oligarchic and oligarchy is always regressive. That was one the first polity to give women such rights, after Pitcairn island in 1838 (! ), and Australia (1894-1902). France had to wait until after the Nazis to see this happen. So referenda have the potential to change not just politics, society, but even the neurohormonal balance of the planet. As it, those 10,000 (mostly) men who rule the planet are not just any men. 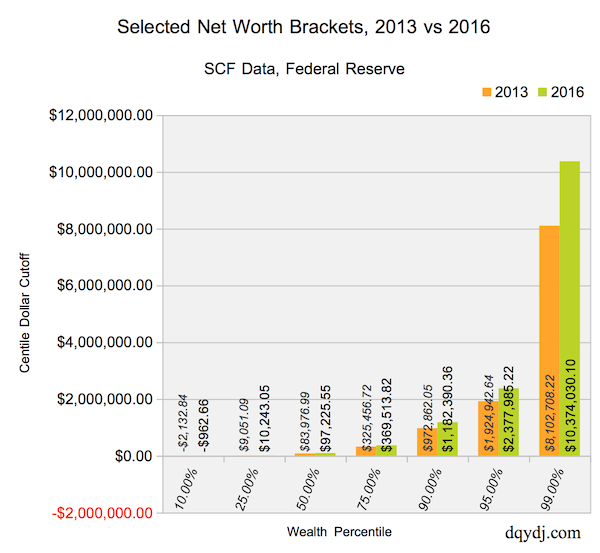 They are among the greediest, most delusional, most arrogant, shallowest, most self-absorbed guys around: they are selected that way, and they favor their kind… Just as banks lend to the wealthiest, to make them, and themselves, even wealthier. Big words, and similar concepts to those I have brandished for more than a decade. If so-called Representative Democracy in Britain, France and the US has turned to “chumocracy”, in other words, oligarchy, for all to see, time for a rethink. Verily, electoral policy doesn’t select the best, most moral and disinterested, but the exact opposite. Removing, or, at least, controlling them with referenda of We The People will make greed, delusion, arrogance, superficiality, self-absorption less influential in steering our common destiny. Let’s do it! Limit Wealth Absolutely and modify the constitutions to enable RICs! As explained a bit in Note 2 below, imposing an absolute wealth limit, and the Will of All through referenda, will have metaphysical consequences: it will steer humanity away from Will to Power of destruction, to Will to Power of loving creation…. Note 2: So I hold that the switch to plutocracy unchained caused by the non-observance of wealth limiting laws, brought the fall of the Roman Republic. The same holds for other Republics, like Firenze, which fell to bankers (the Medici). The conventional view is much more celebrity bound and shrunk in context: Julius Caesar’s political maneuvers (rather than his generalship), say the common historians, dep in their academic cheese, which had long-lasting effects on Rome and Europe. Caesar’s critical role in going against the Roman Senate by crossing the Rubicon led to the eclipse of the Roman Republic and the emergence of the Roman Empire, the common view holds: Caesar was a bad boy, that’s all. All this to say this: the devolution of Roman plutocracy over 550 years, until final collapse, show that there are no limits to how low a plutocracy will sink, to promote the brutal, cruel and demented view of humanity which defines it with glee… And why this? Because, Ecce Homo, the Dark Side gives us the neurological passion dozens of millions of years of evolution have honed to the fine art of Homo. There Is No Aristocracy But For Democracy. Meanwhile Plutocracy Is Just Evil Power. And Absolute Power of a Few, Intrinsically Evil. [This is a much expanded version of a comment of mine dutifully censored by the New York Times, who knows well how to make it so that it’s readership is not poisoned by true and most relevant ideas. The article I commented on was Erdogan Says Saudis Planned Khashoggi’s Killing, and Demands Answers. The NYT article was basic, and cautious. Some altitude was needed, to address that debate properly, I reckoned. That “murdered journalist”, Khashoggi, was much more than just a journalist, but also a part of the Saudi establishment, prior, and a propagandist for the Muslim Brotherhood, for decades, and, lately, made himself an excellent advocate for democracy in the Middle East. Erdogan himself exerts dictatorial powers of the Turkish media reminiscent of those exerted by president Xi in China. 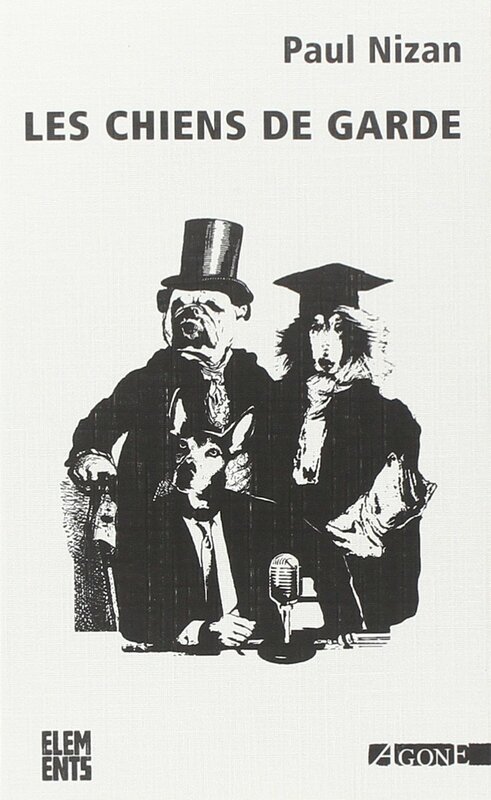 “Aristocracy” means power of the best: a self-glorification. In truth, aristocracy is just plutocracy, power of Pluto, the god of hell. Too much power doesn’t just corrupt, it turns individuals into demons. Mohammed bin Salman, MBS is not just a perpetrator, but victim of a mental process no one warned him about! Leaders have so much power nowadays, ordering the killing of others expeditiously proves all too irresistible. We can all turn into Khashoggis all too easily. 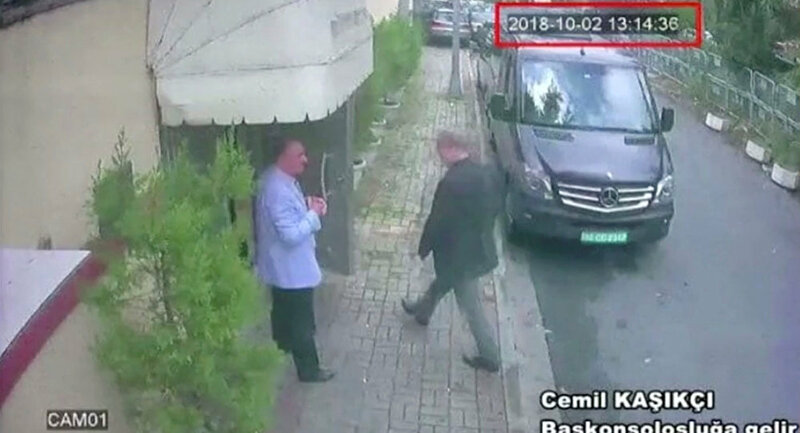 Khashoggi, carefree, firmly entering the Saudi Consulate. Questions remaining: was he dismembered, starting with his fingers, he typed insolent statements with, while conscious, and did MBS order that old fashion punishment explicitly? So Khashoggi entered the Saudi Consulate, for the second time in two days, to receive a statement confirming his divorce from his establishment wife (who disapproved of Khashoggi’s critics against MBS). “Saud” is the name of a family who owns Arabia. Having seized it by force, after making a conspiracy of mutual aid with the Islamist fanatic Wahhab. Late the UK, and then the US would make another conspiracy with the Saud patriarch about oil and finance. Just ask the relatives of those who, in various places the USA was not at war with, innocently gathered, and all were killed in a drone strike!.. Because the gathering had the “signature” of terrorism, we were told by the US government. At least when Khashoggi was hacked into piece, only him died, not the whole neighborhood. The solution to lethal, arbitrary leadership, all over the world? Not just reduce the power of MBS, but reduce the power of “leaders”, all over. The West may as well lead towards much more democracy, the rest will (be forced to) follow. Just criticizing Saudi Arabia is not enough. Evil loves the Dark, already observed the Persian religion 4,000 years ago. Throwing a light on how Khashoggi died is a good thing. It would be even better to throw a light on the entanglement of CIA, SIA, and Bin Laden in the 1990s… Or how exactly the Afghan War started… And the role of the USA in that (hint: it was primordial). The USA actually pushed, for years before that, Pakistan’s Inter Service Intelligence, to create a Muslim Fundamentalist war in Afghanistan. So it was not just a question of Democratic President Jimmy Carter. The drivers of US fundamental policies in the Middle East wanted to cause a Muslim Fundamentalist war in the Muslim world, to create there a factor of division. Once people are divided and at each other’s’ throats, they can be easily manipulated. So let’s dig into Saudi Arabian potentates’ evil ways. But let’s not forget who pulled the strings to start with… Not just a geographical superpower, the US, but a mood animating the USA, and not just the USA, all of Western Civilization, which the Saudi princes have attempted to reproduce, namely using fascist power (generally found in the Qur’an, but also well beyond that), to instill a reign of terror. Absolute power corrupts. Everything. Not just those who directly profit from it. But also the very institutions which tolerate it, and the People who enjoy it. Want the best to govern? Want Aristocracy then? Well, the best form of government is total democracy, enabling total debate, and no straying into violations of human rights. The light should shine on all as its name is truth. I spoke to the owner of a cheap hotel in the Alps. 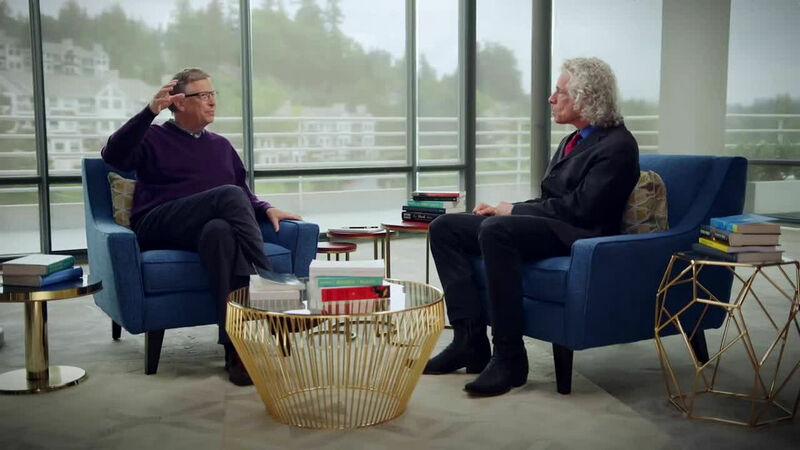 He explained to me how much money he was loosing from the already hyper wealthy, powerful and influential Google and its associated for-profit accomplices. Then I got a very simple idea to remedy part of the problem. Thus, worldwide, when people search for something, they enrich the crooks. Crooks? How else do you want to qualify those who pay very little or even no taxes, while being the richest (legal) persons on Earth. Companies as persons? Since “Citizen United” the crooked (?) Supreme Court of the US (“SCOTUS”) has recognized companies as “persons” with a right of free speech… GAFA (Google Amazon Facebook Apple) pay very little tax, whereas normal companies pay much more; that’s (greatly) how they became the richest in the world. They do not invent the science: they are technological aggregators, exploiting the work of obscure, impoverished, scientists. Google once had a deep partnership with Apple. Then, while Steve Jobs mentored co-founders Larry Page and Sergey Brin and Schmidt sat on Apple’s (NASDAQ:AAPL) board of directors, Android magically acquired into iphone like capabilities: do Google and Apple constitute a double headed duopoly? One could use against them the insult GAFA use against companies who buy patents from inventors (thus rewarding inventors). GAFA and their ilk are NON-PRACTICING ENTITIES: indeed, they, mostly, didn’t practice the research. They are just tax free monopolies exploiting the discoveries of others (who now, thanks to SCOTUS’s devastation of the Patent System, can’t exploit their own discoveries pecuniarily…). So Google: let’s separate for-profit search from non-profit search. Greed needs to be kept away from knowledge. Today, Trump said that Saudi Arabia’s disappearance of a well known journalist, if confirmed, would bring “severe punishment“. What to do? Just as common denizens should put pressure on legislators to separate profit and search, they should insist to separate fascist regimes and supporting them… by frequenting them. For example, going to Thailand, or Indonesia, let alone UAE or Saudi Arabia, as a tourist, should be carefully considered for what it is: an active support for fascism. Evil regimes (and that could be arguably more than 100 countries) should be spurned, avoided and rejected. I was no friend of Khashoggi, because of his Islamist past.. Nevertheless, cutting up the enemy in body parts (as probably happened to Khashoggi) just because he is basically right, is enforcing terror, just as efficiently as others are enforcing terror with biased search, and for the same basic reason. Google greed cognition, the Saudi Islamist dictatorship: time to meditate the well-known Chinese proverb:”Kill the chicken, to frighten the monkeys“. If we chicken out of all this, the mighty getting mightier, in the grossest ways, we will be all become frightened monkeys..
Another problem with the concept of bitcoin is that crypto currencies rest on the the “blockchain”, a perfectly inefficient, energy devouring and thus ecologically criminal, idiotic technology… Which could be useful only if information and computation were ecologically free (instead I have proposed “AWE”… which is ultimate efficiency). Indeed, the “blockchain” records all transactions everywhere, anytime… instead of some transactions by trusted actors. Bitcoin fanatics say they have a right to ravage the planet, because they don’t trust those “trusted” actors. Well, neither do I I say: make the actors (governments, and their agents, the banks) more trustworthy. Market Capitalization of Cryptocurrencies dropped by ⅔, generating more than 200 billion dollars of losses. And indeed, turning things on their heads, there is a new reason to criticize bitcoin and other cryptocurrencies: they are manipulated by organized crime. Bitcoin enthusiasts may counterpunch that central banks are organized crime; well, I agree, and wrote so for more than a decade; however, it’s not because Rome is on fire that one should start new fires! Bitcoin enthusiasts should go the way of Nero. New research observes that at least half of the 2017 rise in bitcoin prices was due to coordinated price manipulation using another cryptocurrency called tether. The 66-page paper says tether was used to buy bitcoin at carefully selected moments when it was declining, which helped “stabilize and manipulate” the cryptocurrency’s price. “In general I research things that are potentially illegal, and there’s a lot of rumors surrounding potential questionable activity in cryptocurrencies,” says University of Texas finance professor John Griffin, who has a decade-long track record of flagging fraud in financial markets. This paper investigates whether Tether, a digital currency pegged to U.S. dollars, influences Bitcoin and other cryptocurrency prices during the recent boom. 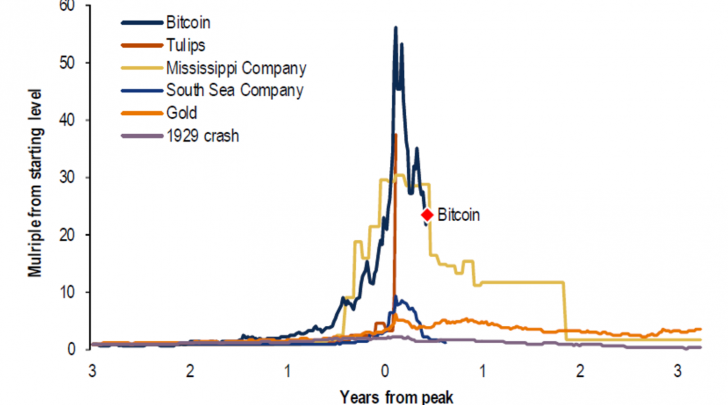 Using algorithms to analyze the blockchain data, we find that purchases with Tether are timed following market downturns and result in sizable increases in Bitcoin prices. Less than 1% of hours with such heavy Tether transactions are associated with 50% of the meteoric rise in Bitcoin and 64% of other top cryptocurrencies. The flow clusters below round prices, induces asymmetric autocorrelations in Bitcoin, and suggests incomplete Tether backing before month-ends. These patterns cannot be explained by investor demand proxies but are most consistent with the supply-based hypothesis where Tether is used to provide price support and manipulate cryptocurrency prices. Why was Bitcoin Organized geek Crime tolerated? Because those one bought, one owns! All this was long obvious. As it was that organized crime used Bitcoin (didn’t just manipulate it). 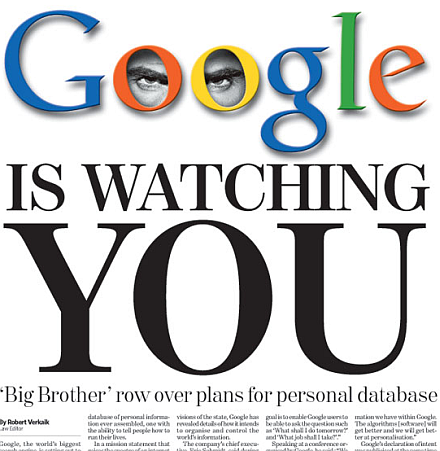 A high level contractor of Google told me the government (under Obama) was perfectly aware, but let it run its course. That may look strange. But not so, once one has realized that the government knows that conventional banking is organized crime, a major engine of inequality, worldwide: bankers create money, and they create it, for their friends. By letting Bitcoin run its perverse criminal course, many geeks made lots of money, getting ethically very dirty in the process, while growing in power and influence by leaps and bounds. Same general strategy as with holding the world economy hostage of monopolies (GAFA, FANG, etc. ): all these dirty, wealthy people are now stakeholders in the engine of criminal inequality. Organized criminality got them there, and their now criminally confirmed minds make them most qualified to help run the world… as the little soldiers of dirt. They are all accomplices in crime, so they will shut up, cooperate, and subjugate. Thus geeks may as well implement the system, they are not just crucial to the system… They are it (or so they think, and thus will thereafter behave as the true holders of power want them to). When Augustus seized the Roman Republic, and made it his personal thing, he was not alone: several millions stakeholders (mostly having to do with the Roman army, its suppliers, accomplices, etc.) were helping him out. He had cultivated them carefully. Same now. The paradigm of the exponential is bacterial or viral growth. The growth of a population (and it could be tumor cells, or rats) is, before running out of resource, and without a predator, or other external abating agent, proportional to said population. One of the greatest progress of humanity, in the last five centuries, has been to develop the tools for, and build an understanding of, the exponential function. It is everywhere. Including looming as the greatest cause of civilizational collapse, moral, ecological, intellectual, epistemological, etc. For a civilization, evil is the deadliest infection of them all. 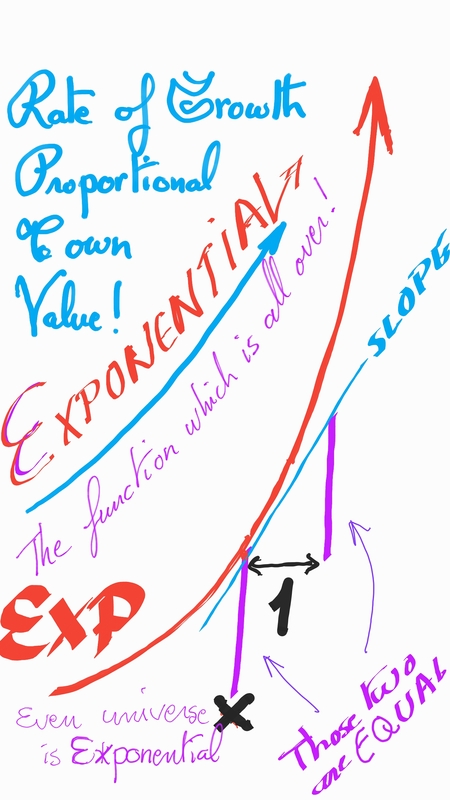 It grows proportionally to its presence, so it exponentiates (we will explain why). A particular case of evil growth, is the takeover of civilization by plutocracy. It is the main cause of the collapse of civilizations. If left unchecked, forces of evil will rise. And, if unchecked, they will rise exponentially. Thus it’s important they are not left to rise. Thus evil power, in Greek: Pluto kratia is is not just a moral phenomenon, not just a moral implosion. 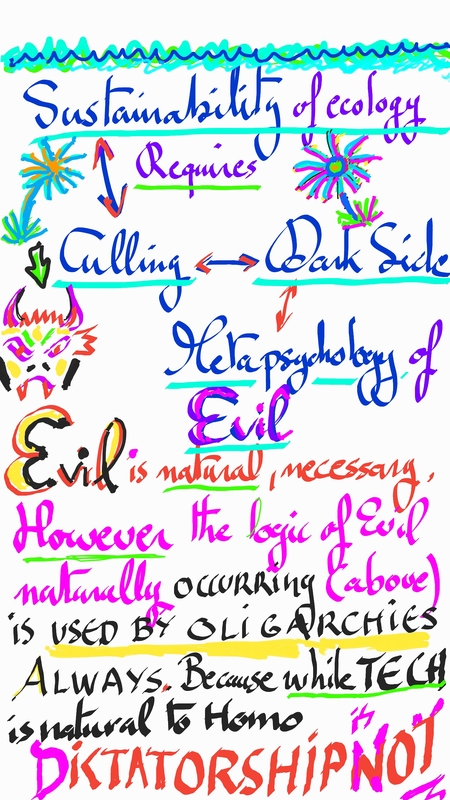 It is also a mathematical phenomenon, and that makes evil not just a human factor, but a law of physics. Humanity is intrinsically good: otherwise it would not rise children, thus would not exist. Good, in first order, means you do the work, and don’t fight back. Hence, those who don’t play by the rules of goodness, decency or common sense, get an advantage: they can exploit, and meet no resistance. That advantage is self-feeding: the more it’s used, the more advantageous the advantage it provides with. This is observed with lionesses in a pride: some do all the work, other restrict their contribution to showing up, and eating whatever is killed by those who did the work; that’s explained because just the appearance of a big group is impactful… The lazy ones work by just showing up! The exponentiation of money is well-known: it is the law of compound interest. The more money one has, the faster one’s money grows (not relatively, but absolutely). It’s basic mathematics. The same holds for anything money can buy, like real estate. That’s why anybody with serious money in the past used to be called a “rentier” (someone who enjoys a rent). However money transforms into power onto other people, and reciprocally: money and power are equivalent. To prove something with one, is the same as proving something with the other. Thus, any form of power will, left unchecked, also exponentiate, because it is readily transformed into money and other (“real”) property (which will exponentiate). One lends only to the wealthy. Not just the wealthy in money, power, but also wealthy in the capability of using evil ways. rich, (A particular spectacular example of money translating into power occurs when generals pay their armies; the history of the Mediterranean, Europe and China are full of such behavior, including when it brought the agony of the Roman Republic). If one analyzes what happens, it is clearly the concentration of power, in a few hands which causes the exponentiation of power. Thus, the greater the power, the less concentrated one should allow it to become. In other words, technological progress requires ever more direct democracy. The alternative is exponentiation of evil. Hence ever more democratization is a necessary consequence of the pursuit of civilization. Without ever more democratization, evil and plutocracy grow, until they overwhelm everything, as demonstrated in various Dark Ages (the “Invasion by the Peoples of the Sea” (33 centuries ago), the Greek and European Dark Ages being the three most famous cases).